We have earned a sterling reputation in the industry for trading Fixed Capacitors. The offered capacitors have been sourced from reputed vendors and are highly regarded for being dimensionally accurate and precise in size. 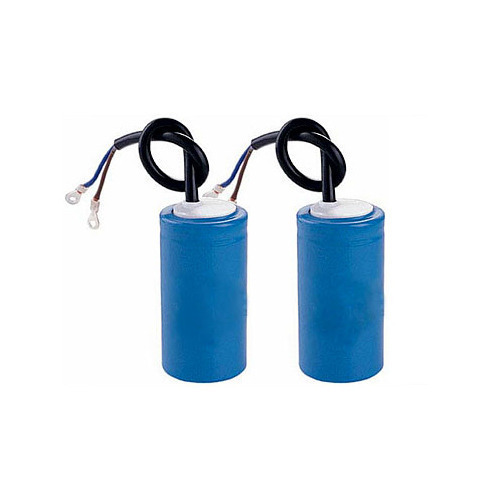 These capacitors are installed in electrical circuits and they ensure the improvement of power factor. We are specialized in handling customized orders as well. "Sgs Industrial Controls & Solutions Pvt. Ltd." was established in 2003 and is engaged in providing a quality range of Energy Management Products and Services. Our service range is comprehensive and comprises of Energy Audit and Services, Safety Audit and Thermographic Services. Our services are made available by expert professionals employing new generation tools and techniques. Further, we specialize in trading LT Capacitors, LED Lights and Thermography Systems. Our range of products includes Power Factor Correction System with Harmonic Filtration, Centralized Energy Monitoring & Demand Controller System and Centralized Steam Flow Monitoring System. The products are appreciated for being durable, cost-effective, dimensionally accurate and reliable. These products and services find wide application in the chemical industries, pharmaceutical plants, power plants and oil refineries. Our dedicated efforts have earned us reputed certifications including PCRA and CREDA. Our products are sourced from a reliable vendor base for maintaining the industrial standards. The parameters of quality control are strict and approved by the clients as well. We are also empanelled with Bureau of Energy Efficiency and Petroleum Conservation Research Association for carrying of energy audits. Our professionals are dexterous and committed to the organization. The clientele consists of Reliance, HERO and Jindal. We are specialized in handling customized orders.